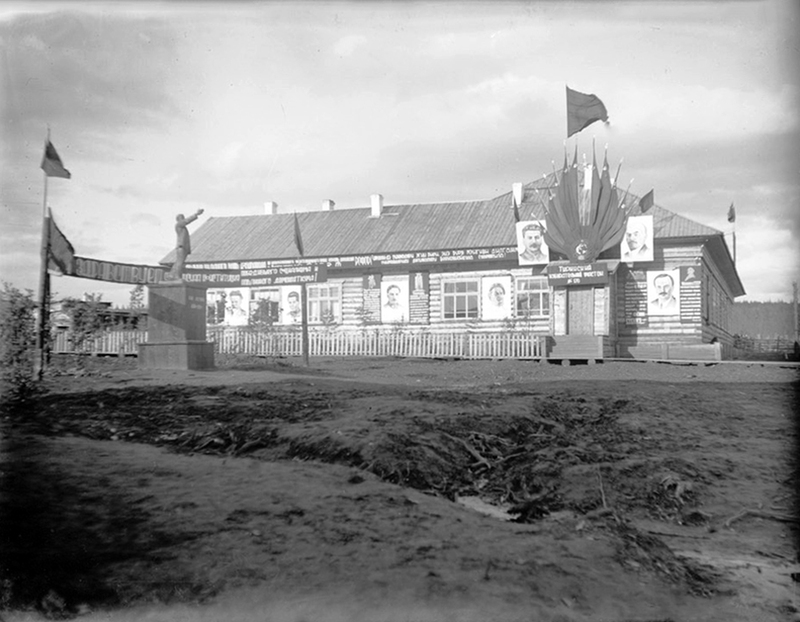 These photographs were taken in the Siberian Yeniseysk Governorate in the early 20th century. They remain in the archive of the city of Krasnoyarsk’s local museum. This is visual history, depicting local residents’ livelihoods, deer-herding activity, and dwellings. 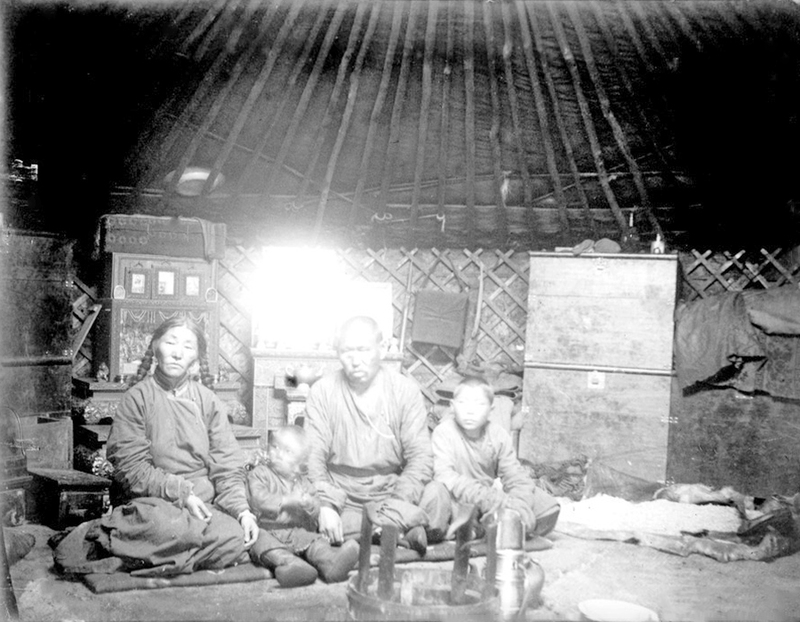 The buildings that housed early 20th century Siberians are of most interest. In 1822, the Russian territory of Siberia was divided into east and west. The Yeniseysk Governorate, a territorial unit formed of five districts, was created as part of Eastern Siberia. 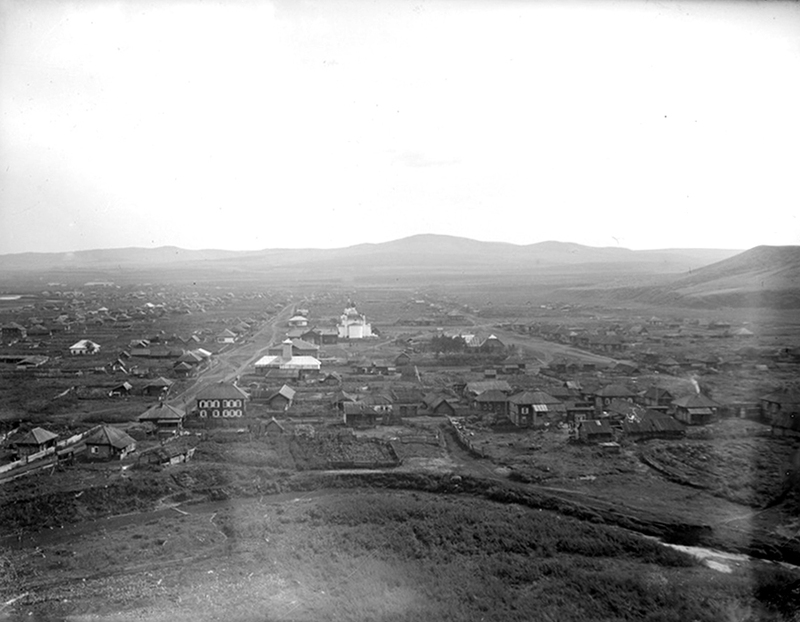 In 1911, the Yeniseysk Governorate was designated a place of exile for vagrants. Prison authorities started sending former convicts who had served their sentences here in 1913 to form permanent settlements. By the end of that same year, there were as many as 46.7 thousand exiles living in the region. 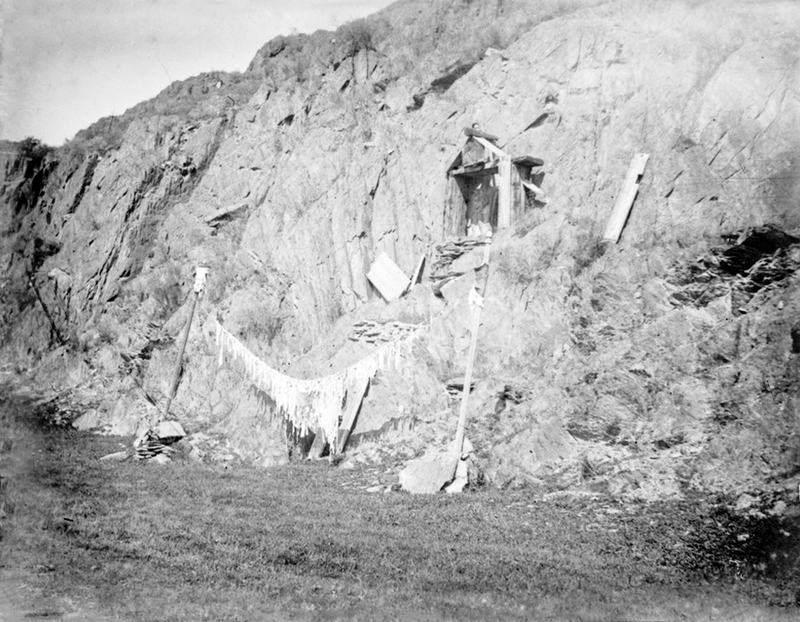 There are many different types of housing used by Siberian locals. 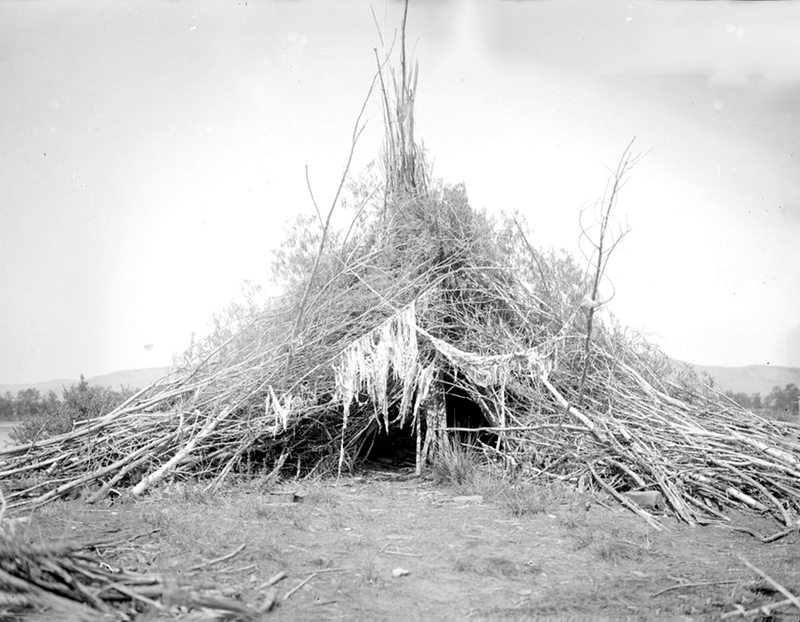 Some were temporary constructions put up in summer or late spring. 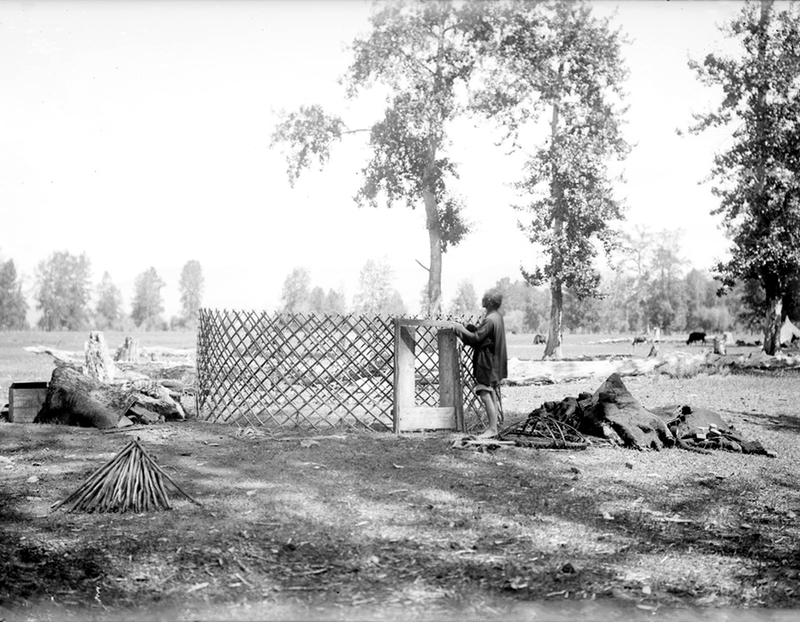 The picture shows the process of building a wooden yurt. 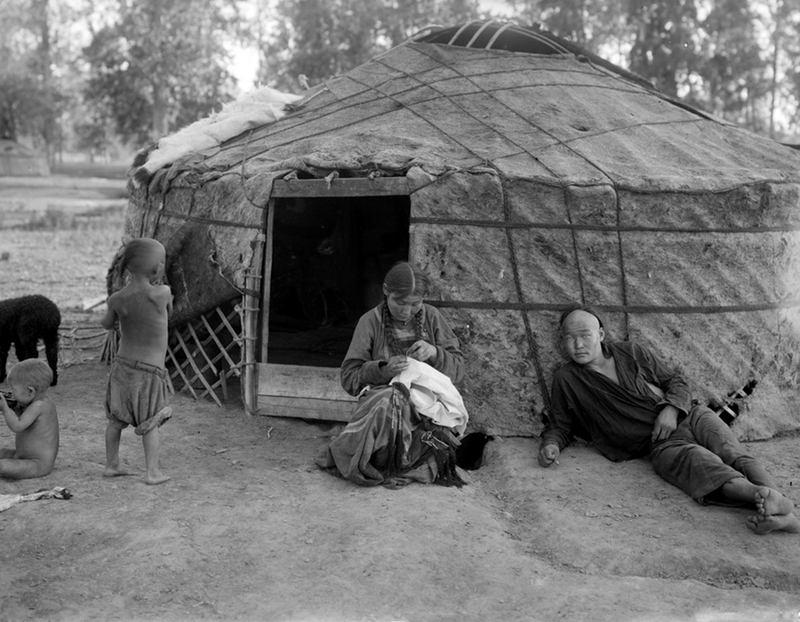 Although nomads moved around, they nevertheless settled in one place from time to time. 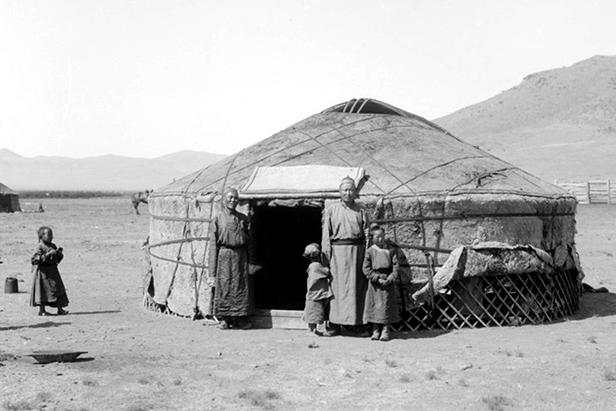 During such periods, they lived in felt yurts, the ideal abode for a nomadic lifestyle. This is what a yurt looked like when assembled. Only 10 percent of the population lived in cities. 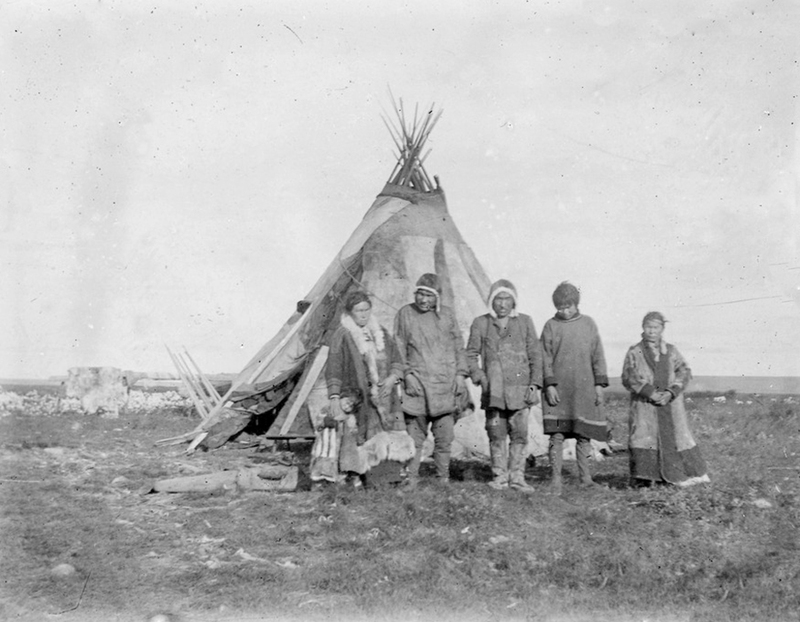 The rest lived in settlements or wandered from place to place, since they were primarily deer-herders. A felt mat is put on the outer frame—sometimes in two layers—on top of which a substance is placed to protect the felt from rain and snow. The fabric is bound together with rope. Inside the yurt. Light entered through an aperture in the ceiling. Yurts could be assembled in only 30 minutes. 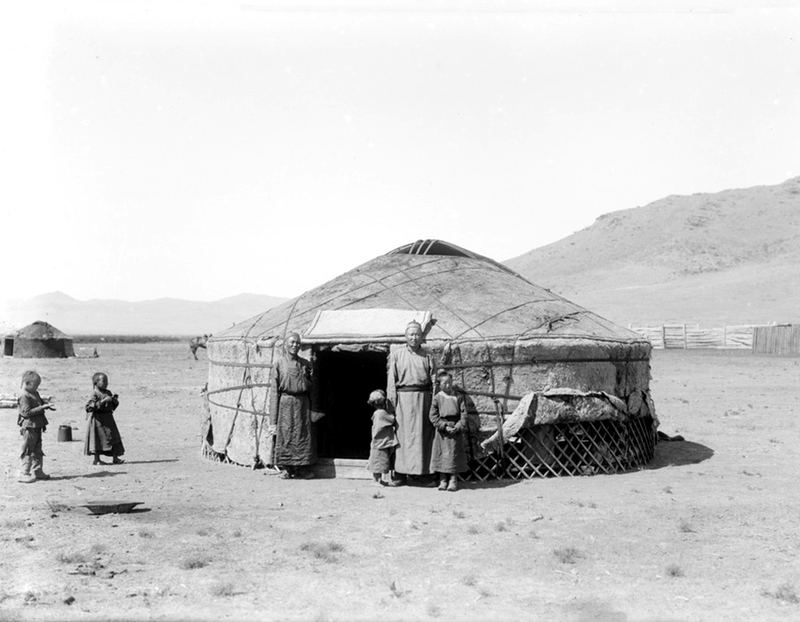 Such dwellings were popular also in Mongolia, Altai and all across the Asian steppe. 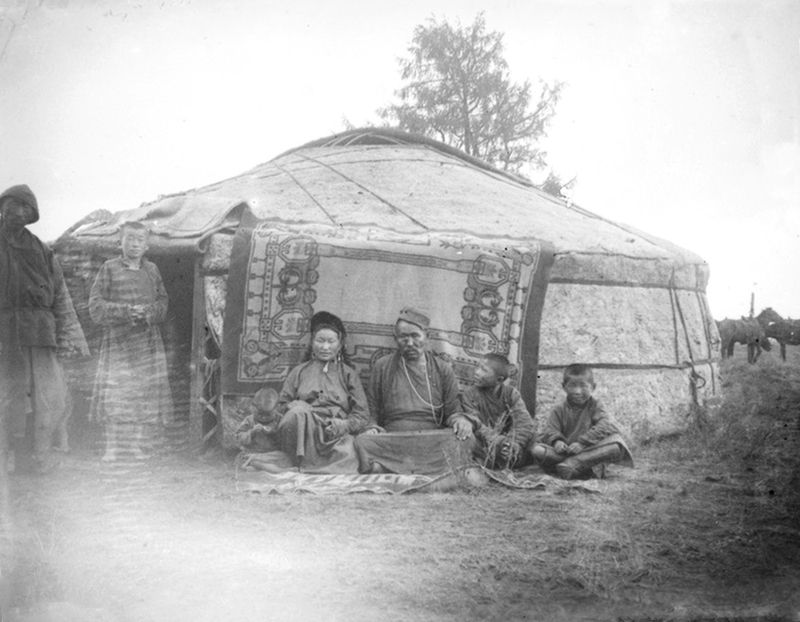 Even today, the yurt has not lost its significance. 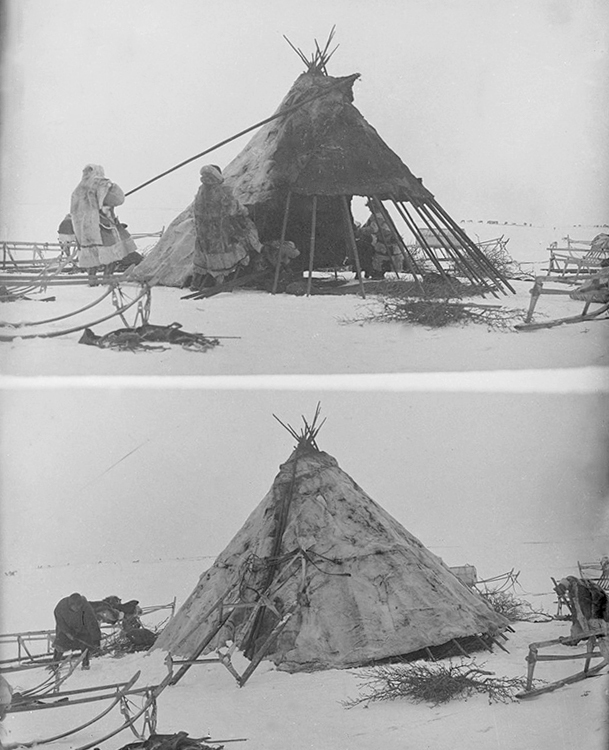 A “winter yurt” — basically just a small tent, but covered with animal skin and fur. 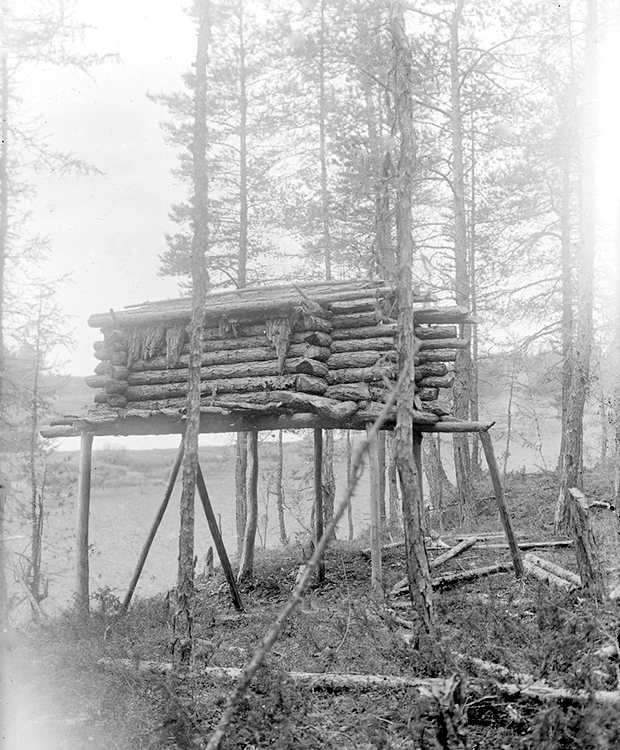 Small wooden log houses usually were built on high ground to avoid damage from snow and water. A view of the town, where the white-walled local church is the tallest building. This photo depicts life after 1920. Joseph Stalin’s portrait hangs on the wall of this wooden house in the village. There is also a portrait of Vladimir Lenin, plus communist flags and portraits of revolutionists.